​Albers Finishing Solutions offers a variety of surface finishing, including zinc plating. Zinc is the workhorse of the commercial finishing industry. Highly decorative and inexpensive, it is reasonable in corrosion resistance. Major industries include lawn and garden, agricultural, automotive, hardware, recreational and more. Trivalent zinc plating is a bio-friendly process frequently used to protect metals (such as iron and steel) against corrosion. It involves the electrodeposition of a thin coating of zinc metal on to surfaces of metal objects (substrates). Zinc plating started gaining widespread use around 1980, replacing cadmium plating (a highly toxic substance that can have a cumulative poisoning effect over an extended period of time). Zinc coatings prevent oxidation of the protected metal by forming a barrier and by acting as a sacrificial anode if this barrier is damaged. Zinc oxide is a fine white dust that (in contrast to iron oxide) does not cause a breakdown of the substrate’s surface integrity as it is formed. The zinc oxide, if undisturbed can act as a barrier to further oxidation, in a way similar to the protection afforded to aluminum and stainless steels by their oxide layers. The majority of hardware parts are zinc-plated, rather than cadmium-plated (due to the high toxicity of cadmium). The zinc plating process is relatively complex, requiring a high level of expertise and specialized machinery and equipment. Our staff has a combined 72 years of chemical processing experience. Albers Finishing Solutions has a fully staffed in-house lab capable of ensuring the quality of the process baths. Preparation and surface cleaning: The substrate must be thoroughly prepped by cleaning the surface prior to plating. Debris and contaminants remaining on the surface will prevent proper adhesion of the zinc coating. Alkaline detergent solution is used for cleaning, followed by an acid treatment to remove any surface rust (referred to as pickling). 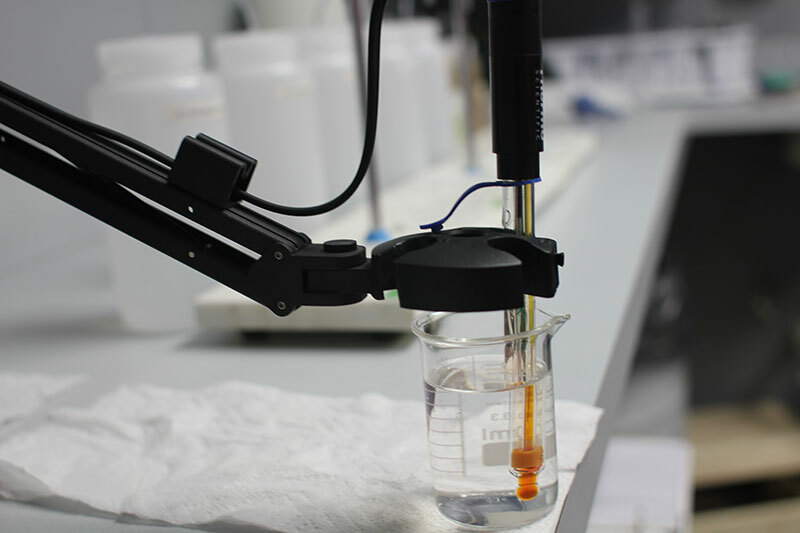 Plating solution is prepared: The substrate requires immersion into a specially formulated electrolyte solution referred to as the plating bath. It consists of the zinc metal ionic solution and various chemicals that facilitate plating processes and help produce the desired chemical and physical properties of the finished product. There are specific types of zinc electrolyte solutions. Acid zinc – A widely used plating technology known for its efficiency with fast deposition and superior covering power. Electrical current is applied – An electrical current is used to deposit metal ions onto the surface of the substrate. With zinc plating, the substrate serves as the cathode. A DC current originating at the anode is introduced into the bath, flowing to the substrate. The zinc ions are then deposited onto the surface. The current flows from the cathode back to the anode to complete the circuit. Post-treatment Procedure – When the plating process is completed, the parts are ready for post-treatment. This normally includes a rinse process to remove any contaminants or plating bath remnants. The application of passivates and sealers are typically included in this final process. The zinc-plated parts are thoroughly dried as the final step.